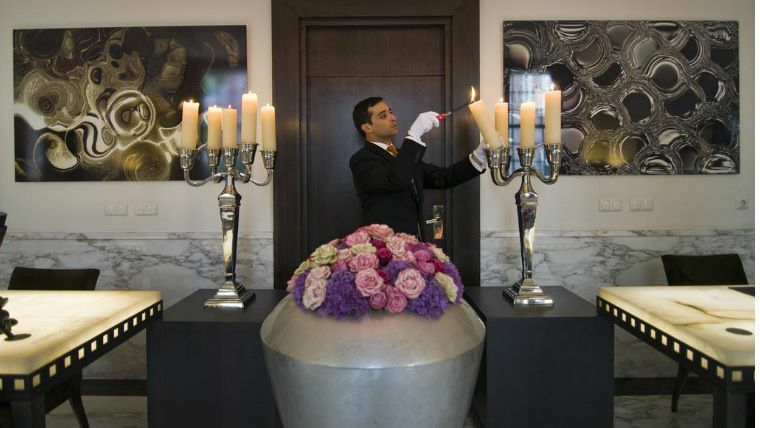 One of the most remarkable hotels in Amsterdam – it seems as if it was especially made for holding weddings – the 5-star hotel Sofitel The Grand. 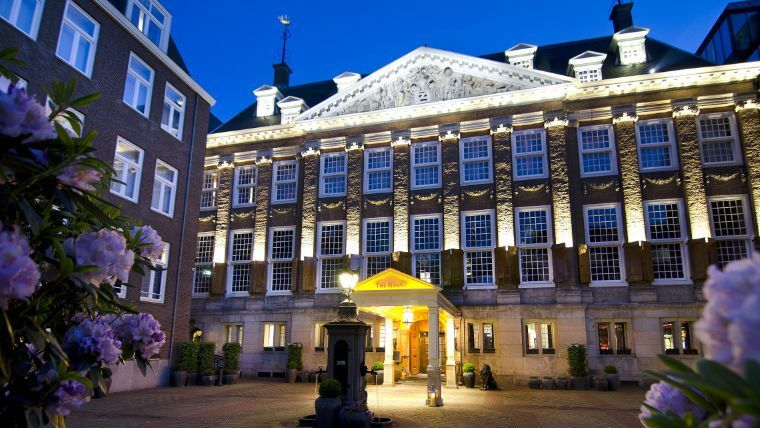 Sofitel Legend The Grand Amsterdam can definitely be called a hotel with a unique history. 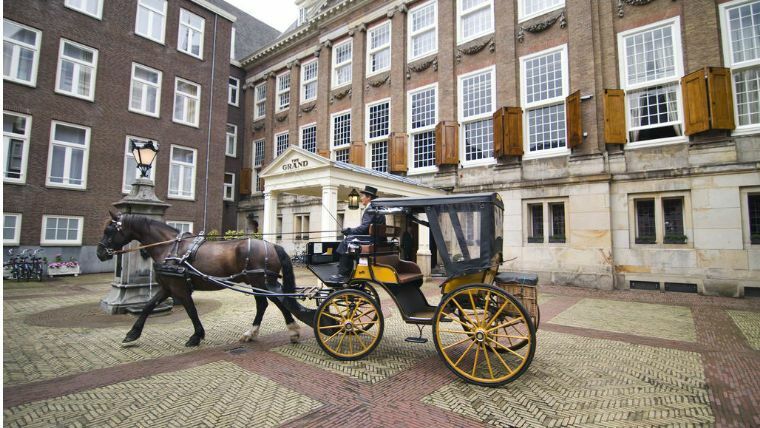 The royal residence, the Dutch Admiralty, the town hall, the place where Queen Beatrix’s wedding was held. Built in the XV century, this building witnessed a multitude of historic events. 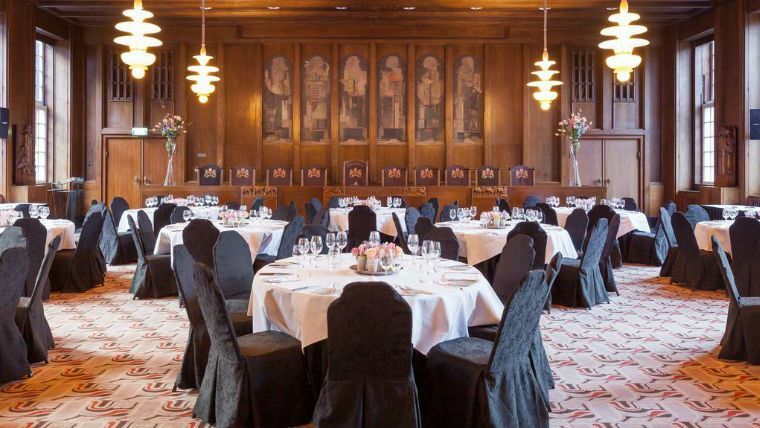 Hotel Sofitel Legend The Grand Amsterdam is a high-class hotel that is remarkable not only for its history, but also a wonderful location, comfort, and a wide range of provided services. The hotel is located in the historic center of the city and surrounded by ancient canals from two sides. When you enter the hotel, you’ll find yourself in the atmosphere of an aristocratic family’s household: classic interiors, noble colors, warm-hearted reception, perfect service. 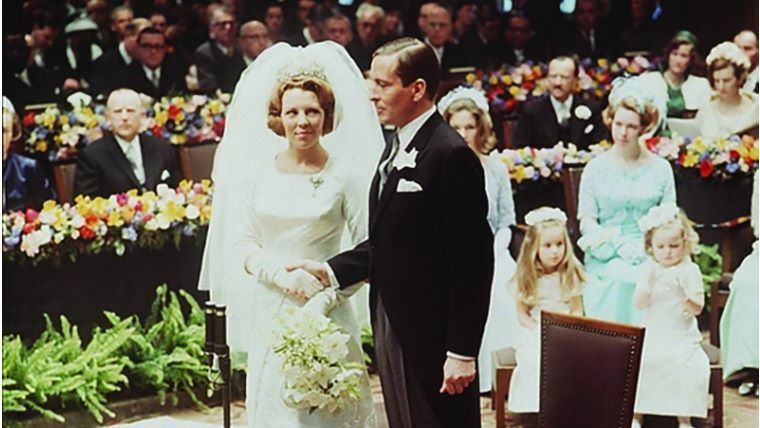 The ancient hall Marriage Chamber is a part of the hotel and a place where the most romantic wedding ceremonies have been held since 1926. The hall is decorated with frescos by Chris Lebeau, depicting various phases of relationships between men and women. 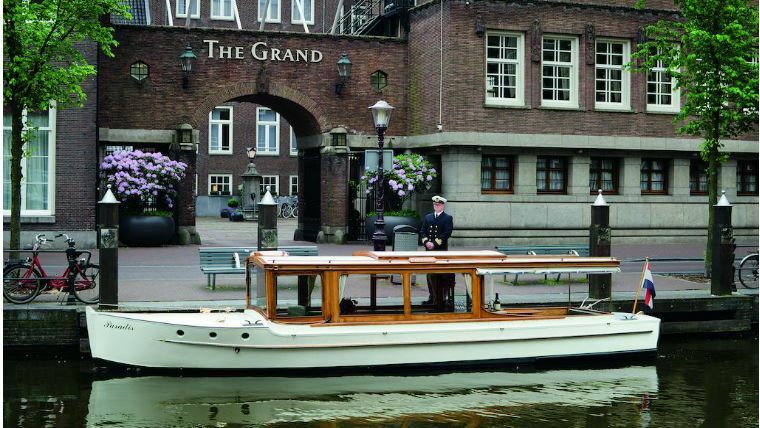 A ceremony in the hall can be followed up with a canal tour.